Skeeter introduced the Solera 189. Skeeter said the Solera 189 will be at boat shows in Chicago and Minneapolis in January. Skeeter introduced the Solera 189, a new boat the builder said combines the performance of Skeeter’s fishing boats with features that allow families to fish, play and cruise. The Solera 189 will be on display at the Chicago Boat, RV & Strictly Sail Show (Jan. 11-15) and the Minneapolis Boat Show (Jan. 19-22). 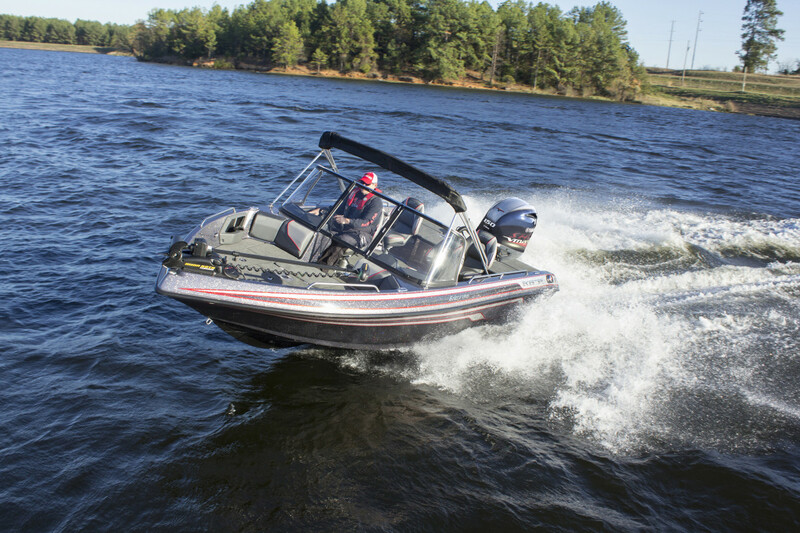 Skeeter said the Solera 189 is powered by a Yamaha VF150XA four-stroke outboard and comes standard with a Minn Kota Terrova 80-pound thrust trolling motor with new Lift-Assist design for easy stowing; a trolling motor sliding bracket; Minn Kota’s 10x3 Precision onboard charger; Humminbird Helix 7; and Skeeter’s React Keel, which tracks the hull in a straighter line in windy conditions. Additional features include abundant storage for gear, a ski-tow pylon and stand-up top for shade, a bow cushion package and a Bluetooth-capable Infinity stereo with four speakers. The national asking price for the Skeeter Solera 189/Yamaha VF150XA is $45,995.